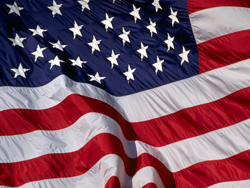 In honor of our veterans and their families, Brighton Kiwanis Club will be placing American flags on Main Street from Grand River Avenue to First Street. A total of 8 American Flags will be displayed on each of the 5 Holidays and commemorative weekends. To help support this project, the Kiwanis Club of Brighton is asking you to sponsor a flag for the following Holiday weekends. You can sponsor a flag in honor or memory of a loved one by making a tax deductible donation to the Kiwanis Foundation of Brighton. If you would like to sponsor a flag you can donate right here by click on the PayPal graphic in this post. Kiwanians are a dedicated group of men and women internationally and in our community who live by the motto ”WE SERVE”. They provide humanitarian services to people throughout the community and the world. We are proud to work with the Brighton Veterans Memorial Committee in this very patriotic project. Proceeds from this year’s Flags on Main project will benefit the Veterans Memorial which is set to be constructed late this summer and will be located at the Millpond Park in downtown Brighton next to the gazebo. Tags: flag, flag day, independence day, labor day, memorial day, Veterans, veterans day. Bookmark the permalink.